Have you ever chewed a piece of bright red watermelon gum and thought, “Hmmmm, I am going to take this out of my mouth and smear it all over my face”? I didn’t think so. But, if you are four years old, I can almost guarantee that you have not only thought of it, you’ve done it! I know what you’re thinking; just don’t give your kids bubble gum. Problem solved, right? Not exactly, there is one thing–or should I say person–who stands in our way: Grandma. Which is why I find myself here today, writing a blog post about removing gum that is stuck almost permanently onto my four-year-old’s face. But which one is the best? We tried a little experiment and this is what we found out. 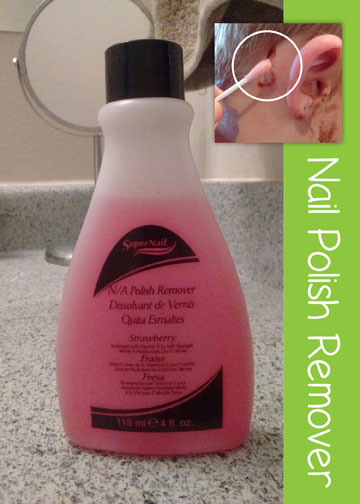 Although very effective in removing fingernail polish (its intended use), it didn’t seem to help at all in removing gum. I tried dabbing the affected area with a Q-tip soaked in remover, but it had no immediate effect. I was hopeful that this product was the winner and did seem to work a little bit after dabbing the smeared gum with a Q-tip and letting it sit for several minutes. But, it still wasn’t the quickest and best solution. 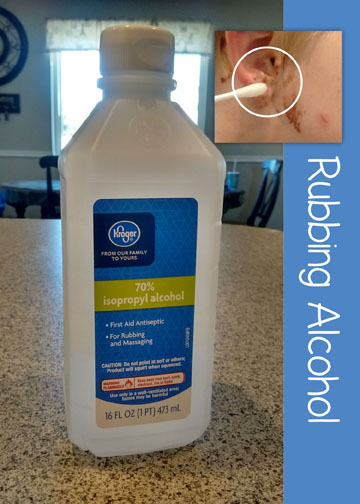 Rubbing alcohol, however, is a good option to use when removing gum from clothing because it will not cause discoloration. Just use a sponge to apply the rubbing alcohol directly on the gum and then wait a few minutes for it to take affect before removing it with a spatula from the clothing. I always remember my telling me as a child not to fall asleep with gum in my mouth because it would get stuck in my hair and then we would have to use peanut butter to get it out. So, naturally, I expected this to be the best option. 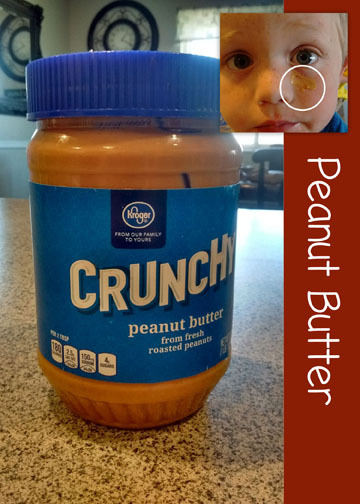 The natural oils in peanut butter are what causes the gum to soften and peel away from the skin and hair. But it requires peanut butter with a high oil content and the effects were anything but immediate. I was surprised by how easily and quickly the gum came off after simply dipping a Q-tip in some vegetable oil and then dabbing it gently on the gum. It came off right away! Plus, this was the option that my son preferred as well because it didn’t require harsh rubbing. It works great with hair and skin. I was pleasantly surprised. 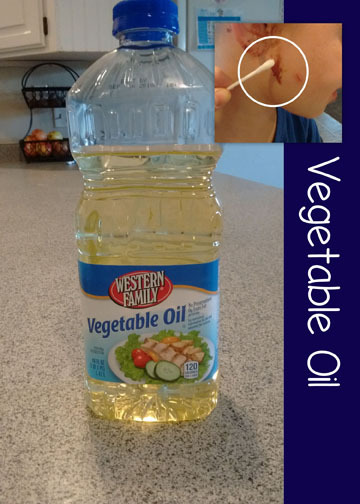 Important note: Although a good option with skin and hair, vegetable oil should not be used to remove gum from carpets, clothing or other materials because it may stain or damage the material. Here’s a few other products that are worth mentioning (and trying) if the above products are not immediately accessible.